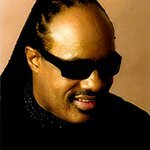 International advocacy organization Global Citizen today announced that headliners Stevie Wonder, Green Day, The Killers, The Lumineers and featuring The Chainsmokers will perform at the 2017 Global Citizen Festival, the annual free-ticketed event on the Great Lawn in Central Park, New York City on Saturday, September 23, 2017. Special guest performances will be given by Pharrell Williams, Big Sean, Andra Day and Alessia Cara, with more to be announced over the coming weeks. On September 23rd, Global Citizens will stand together to call on leaders in America and around the world to uphold their responsibility to end extreme poverty by 2030. Since last year’s Festival, Global Citizen has taken the movement and action-based model to Canada, India, and most recently on the eve of the G20 summit to Hamburg, Germany. The 2017 Festival will serve as a platform from which millions of Global Citizens around the world will demand that world leaders fulfill their obligation to take a stand around issues such as education, food security, healthcare, gender equality, and sanitation. “Thanks to the passion of artists and their fans, music has the power to transcend borders and unite people. Live Nation is proud to help the music community come together to make the world a better place through efforts like Global Citizen Festival,” said Michael Rapino, President and CEO, Live Nation Entertainment. “We can’t wait to get back to our hometown of New York City and play for 60,000 people who have done amazing things to change the world. We are so thankful to our fans for getting online and taking action to support less fortunate people around the world. We’ll see you on September 23rd!” said The Chainsmokers. Proud partners of the 2017 Global Citizen Festival include: presenting partner GUCCI and CHIME FOR CHANGE, premier media partner MSNBC & Comcast NBCUniversal, entertainment partner Live Nation, global health partner Johnson & Johnson, and other major partners Citi, HP, Cadillac, T-Mobile, iHeartMedia, and NYC Parks. For the fourth consecutive year, MSNBC & Comcast NBCUniversal will air a live simulcast of the Festival on MSNBC and MSNBC.com. The Festival will be produced by Emmy Award-winning producer Ken Ehrlich (Grammy Awards). The Festival will also be livestreamed on YouTube and Twitter. For the second consecutive year, the iHeartRadio Music Festival and the Global Citizen Festival will take place on the same weekend – allowing for unique in-show collaborations and a special cross-over performance by Big Sean who will perform on both stages in one night. Global Citizens can earn their admission to the free-ticketed Festival by joining the movement at globalcitizenfestival.com. Ticket draws will occur throughout the summer and fans will be notified by Global Citizen when they have been selected. •	US Foreign Aid Assistance: Ensure the US Congress – including key senators such as Senator McConnell, Senator Corker, Senator Boozman, Senator Lankford, and Senator Rubio – protect the 2018 fiscal year budget from proposed cuts to critical foreign aid programs. •	Education: Secure $3.1 billion in annual funding by 2020 for The Global Partnership for Education and an extra $30M in new commitments to the Education Cannot Wait fund to ensure all children, particularly girls and those affected by conflict and crisis, are in school and learning. •	Food & Hunger: Secure commitments, including from the European Commission and Japan, to meet the UN’s $4.9 billion appeal for countries facing famine and severe food security. •	Health: Secure commitments from world leaders, including those of the UK, Canada, the US and Uganda, towards universal health coverage, prioritizing investments in maternal and child health, vaccines, and addressing pandemic threats such as polio, HIV, TB, Ebola and Zika. •	Girls & Women: Secure commitments from world leaders, including those of Cameroon, Tanzania, Nigeria and Papua New Guinea, to end reform or repeal laws that unfairly discriminate against women, to outlaw gender discrimination and gender-based violence, promote women’s sexual and reproductive health and secure from companies $1 billion in financial support for women-owned businesses – as critical steps forward in achieving gender equality by 2030. •	Water & Sanitation: Secure commitments from the private sector, including PepsiCo, Danone, and Nestle, to donate 1 cent per litre of their bottled water sales to the Global Investment Fund for Water, and ensure the Government of Maharashtra in India will implement teachings of menstrual hygiene for schoolgirls into the education syllabus. This year, fans and activists will earn tickets to the Festival by participating in three Action Journeys: For Freedom, For Justice, For All. Today marks the launch of “Action Journey 1: For Freedom,” in which Global Citizens will complete actions in support of maternal health, polio eradication, girls’ education, increased foreign aid, and more. For more information about how to join the movement, please visit www.globalcitizen.org.